Frank Vennes Jr. is still running from his past. The long arm of the Tom Petters Ponzi scheme clawback has reached out for Congresswoman Michele Bachmann in an effort to recover $27,600 in contributions to her congressional campaign from Petters associate and Bachmann friend, convicted money launderer Frank Vennes Jr. The move came in an "adversary case" complaint filed in U.S. Bankruptcy Court proceedings in the Southern District of Florida for the Palm Beach Funds. These were Palm Beach, FL- and offshore-based hedge funds allegedly used by Vennes to steer billions of dollars into the Petters Ponzi. Barry E. Mukamal, liquidating trustee for the bankrupt Palm Beach Funds, filed the action November 29 against Michele Bachmann, Bachmann for Congress, and Bachmann Minnesota Victory Committee. It identifies seven contributions to Bachmann’s congressional campaigns made between December 2005 and June 2008 that it seeks to recover for the Palm Beach Fund creditors. Based on Federal Election Commission records, those contributions were made by Frank Vennes Jr. and his wife, Kimberly. Because the donations were made with Vennes’ allegedly ill-gotten gains from the Petters Ponzi, the complaint seeks to recover them for the Palm Beach Funds, which are now creditors of Vennes. 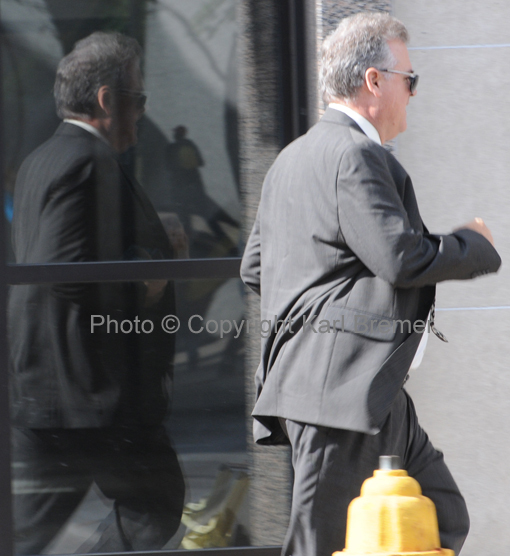 According to court documents, from 2002 through September 2008, the Palm Beach Funds invested approximately $8 billion in PCI (Petters’ company) notes. As of September 24, 2008, when the Petters Ponzi came crashing down, the Palm Beach Funds had more than $1 billion invested in PCI. “The direct effect of Petters’ fraudulent activities was that Palm Beach Funds’ investments in Petters purchase financing transactions were worthless,” the adversary case complaint states. Vennes earned more than $60 million in commissions paid by Petters and/or PCI for the Palm Beach Fund investments based on a percentage of the money he attracted. Vennes was indicted July 19 on 24 counts of fraud, money laundering and making false statements, many of them related to his involvement with the Palm Beach Funds. David William Harrold and Bruce Francis Prevost were owners and managers of the Palm Beach Funds. Vennes recruited the two to raise money for Petters and Petters’ company, PCI. The arrangement netted Harrold and Prevost more than $58 million in fees under their agreements with the Palm Beach Funds. Harrold and Prevost were indicted along with Vennes in April. They pleaded guilty to securities fraud in the scheme and reportedly are cooperating with federal authorities. “The Defendants’ [Bachmann] receipt of the benefit of the Transfers unjustly enriched the defendants to the detriment of Vennes and his creditors. Bachmann previously has tried to wash her hands of some of Vennes’ “dirty money.” Following FBI raids on Vennes’ and Petters’ homes in 2008, Bachmann quickly moved to donate $9,200 of Vennes’ and his wife’s money to charity. However, that represented only a portion of the more than $50,000 Vennes and his family and personal lawyer gave to Bachmann from 2005-2008. Ripple in Stillwater asked over a year ago why political contributions of fraudsters and Ponzi men weren't being clawed back. Vennes was donating heavily to Minnesota politicians throughout most of the last decade as he sought a presidential pardon for earlier crimes unrelated to the Petters Ponzi. Vennes was convicted in North Dakota of money laundering and illegal firearms and cocaine trafficking charges in 1987, served 38 months in federal prison in Sandstone, MN, and a decade or so after his release, began laying the groundwork for his presidential pardon. In addition to Bachmann, Vennes and his family were major campaign contributors to former Minnesota Governor Tim Pawlenty, former U.S. Senator Norm Coleman, and state Republican Party entities. Vennes and his family also contributed to Sen. Amy Klobuchar and former State Sen. Ted Mondale, who now chairs the Metropolitan Sports Facilities Commission. Vennes and his family were among Bachmann’s heaviest campaign contributors. Bachmann wrote a glowing letter of support for Vennes’ pardon on December 10, 2007, even though Vennes, a resident of Shorewood, MN, and Jupiter, FL, was not and never had been a constituent. Bachmann noted that Vennes needed a pardon because he “still encounters the barriers of his past and especially in the area of finance loan documents.” Bachmann has refused to further explain the nature of her “personal experience” with Vennes or provide clarification of the finance loan documents to which she refers in her letter. Less than a week after FBI agents raided Vennes’ home in September 2008, Bachmann wrote a letter to the Office of Pardon Attorney withdrawing her earlier letter of support for Vennes’ pardon. Vennes family members Norma Vennes (Frank’s mother), Colby Vennes and Denley Vennes (Frank’s sons), seeking funds that are alleged to have been fraudulently transferred from Metro Gem, Inc., one of several feeder funds for the Petters Ponzi scheme managed by Frank Vennes. Other Vennes family members targeted by the clawback made significant political contributions to Pawlenty and the Republican Party of Minnesota. It’s not known whether they will be subjected to clawback attempts by the Palm Beach Funds as well. Vennes business associate Darrel Amiot, who is mentioned in a lecture by Frank Vennes [listen to an Amiot sermon here] Another case was filed against Larry Greely, an associate of Amiot. The Fidelis Foundation. Vennes sat on the board of Fidelis Foundation. A single complaint was filed against CitySites Urban Media, Inc., North Dakota Teen Challenge, Inc., Minnesota Teen Challenge, Inc., KidsFirst Scholarship Fund of Minnesota, Desiring God Ministries, Prison Fellowship, Trinity Christian School, Crown Financial Ministries, Inc., Great Commission Foundation, Inc., New Life Family Services, Northwestern College, Masterworks of Minneapolis, Inc., Metro Hope Ministries, Inc., Smithtown Gospel Tabernacle, Inc., T-Net International, Wheaton College, Billy Graham Center, Seg-Way Ministries, International Ministerial Fellowship, Williston Assembly of God. Some of these institutions have close connections to Vennes. Vennes served on the boards of Minnesota Teen Challenge and Northwestern College. Some of these institutions, like Desiring God Ministries (whose Pastor John Piper wrote about an anti-homosexual-tornado) and Minnesota Teen Challenge were involved in the strange saga of Hope Commons. Grace Consulting of Southeast, Inc. run by Vennes’ brother and Bachmann donor Gregory Vennes, who was sued by investors in 2008 for alleged seven counts of fraud and misrepresentation (the lawsuit was settled). This week’s clawback action suggests that the shadow of Frank Vennes Jr. will continue to cloud Bachmann’s political future well into the presidential caucus and primary season. For a candidate who can barely explain away her present—let alone her past—that can’t be good news. For the full story on the Michele Bachmann-Frank Vennes Connection, read The Madness of Michele Bachmann by Ken Avidor, Karl Bremer and Eva Young. Karl, I would like to speak to you privately about above story. Is there a way I can email you? whoah this blog is fantastic i really like reading your posts. Keep up the great paintings! You already know, lots of persons are searching around for this information, you could aid them greatly. Click on Cloud IT Zone and get your hosting Services. Assignmnet Help Australia from the best writing providers. It's a very readable story. Thanks for sharing. Thank you! I look forward to hear the news.